First off, here's my new stuff for the week! I hope you guys like it!!! 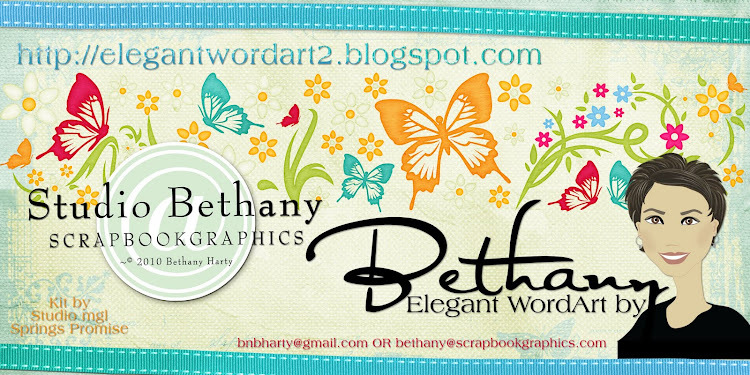 Click HERE to go to my store. And remember, first week, it's 20% off! Good morning, all! Hope today is a FABULOUS day for you :) How was your Thursday? I woke up at normal time, read scriptures, said prayers, got kids ready for school, then off to the bus, then hung with Jimmy for a while. I told him he couldn't turn on TV until his room was clean, so he complained for a while, and after about an hour, he decided to clean it - hehe. And while I was supposed to be loading products into my store in the morning, I decided to bake zucchini bread instead. And didn't really have time to do it. But I did it anyway - hehe. Here's me right before leaving. This particular hike was great! Wide enough for 2 people to walk side by side, and hard enough that it got the blood pumping, but not too bad. JUST right. Here's a few pics from the view on top of the mountain. We headed back down, and noticed some park rangers, and a dude talking photos at the bottom. He came over to us and asked if he could use our pictures in the paper. He was doing a story about this particular park, and the hiking trails. So he took some pictures of us, and interviewed us about who we are, where we're from, why we like the park, and junk. And we're gonna be in the El Paso Times! hehe. I'm famous!!! LOL! And then we headed back home. And yeah, I was running a bit behind. Jake and Captain America were home when I got there, and I had just enough time to grab an apple and head out the door. I had a counseling session on the West side. I took the Saturn, and headed out. I'd get lunch when I got back. It was a good session, and I feel like I'm really learning a lot about myself. Thanks, Dr Slade! You rock! Captain America got home a few minutes after me, and I had lunch, and started working on my work for the day. He went to take a nap, since he hadn't slept well last night, and we're gonna be out late at the ball tonight. Should be a grand time! OK, it's 11:53 pm, and I'm back. Briefly... Im SO tired, and need to go to bed. But I wanted to show you the pictures from the ball! It was SOOO much fun! I'll pop back on here tomorrow and give more fun details, but for now, here's the pics! Me all pretty for the ball! And we headed to Little Cesars to get the kids a pizza - hehe. We were the FANCIEST people at Little Cesaers, let me tell ya! We dropped off the pizzas at home, and headed to the ball. Parked, and were almost to the door when Captain America realized that he'd left the tickets at home. So we went back to the car, drove home, grabbed the tickets, and back to the ball we went. Here's Captain America and I when we found our seats. Actually, we switched tables (table crashed) with another couple so we could sit with the "fun" people. hehe. They were pretty rowdy! German Chocolate Cake with a fudgey frosting, whipped cream, and raspberry glaze. OMGosh! Here's what my meal was. Beef, with red potatoes (I don't eat potatoes...) and steamed veggies (yum!) and I had a dinner roll. There was a TON of alcohol, but no Diet soda. Hmpf! So I was stuck with WATER! Tammy and I. She's pretty fun! Loud, but fun - hehe. And let me tell you, wearing a Formal to Walmart gets you a TON of stares. Some good, some not so much - hehe. The greeter sure liked it! Captain America was kinda embarassed, but I was loving it - hehe :) He noticed all of the weird looks, but I was enjoying all of the people smiling at me :) It's not every day you see someone in full Military Dress and a formal walking the isle of Walmarts, you know! I will never get used to the blues... I miss the greens already! But you guys looked AMAZING! I'm so sad that they canceled our ball this year! :( I'm glad you had a great time!! I just loved the dress you choose. Good taste you have. I had a "ball" at our last Dining out event. It was the first time I actually stayed and danced! Do you remember the shaffle? yeah, we did that one...."to the right, to the right, to the right. To the left, to the left, to the left. Ryan was so embarrassed! I had fun. Ryan had to stay until the end cause he was the one putting it all together, so he had to make sure all the drunks were picked up and home safe. I had the most fun watching the dance once everyone had a few too many to drink. Military traditions are awesome. It sets us apart. And yay for being FAMOUS! Thank you so much for this post. 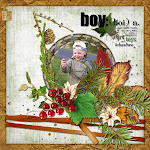 I want to let you know that I posted a link to your blog in CBH Digital Scrapbooking Freebies, under the Page 2 post on Dec. 10, 2010. Thanks again. You both looked so elegant!! Thank you for the sentiment! Glad you had fun at the ball - the Walmart visit is a great way to end the evening! Thanks so much for today's word art. You two looked marvelous! Thank you for the awesome word art!